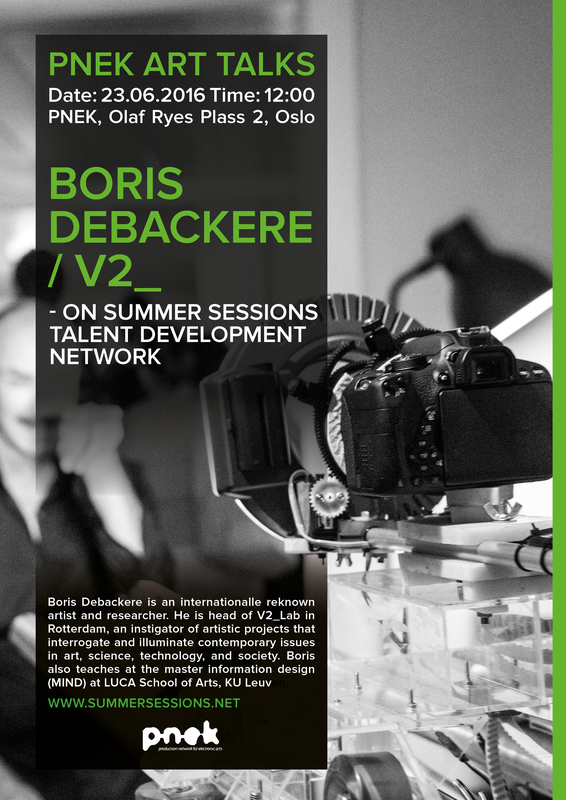 PNEK inviterer til samtale med Boris Debackere om Summer Sessions Talent Development Network programmet. Hvert år utlyser PNEK her et stipend til lovende kunstner innen eksperimentell og elektronisk kunst. Boris Debackere is an internationalle reknown artist and researcher. He is head of V2_Lab in Rotterdam, an instigator of artistic projects that interrogate and illuminate contemporary issues in art, science, technology, and society. Boris also teaches at the master information design (MIND) at LUCA School of Arts, KU Leuven. Piksel Pavilion Opening Night – Piksel18 – Buzzocrazy!